Reviewed the new Leica X (Typ 113) with bright 23mm f/1.7 Leica Summilux ASPH. lens. 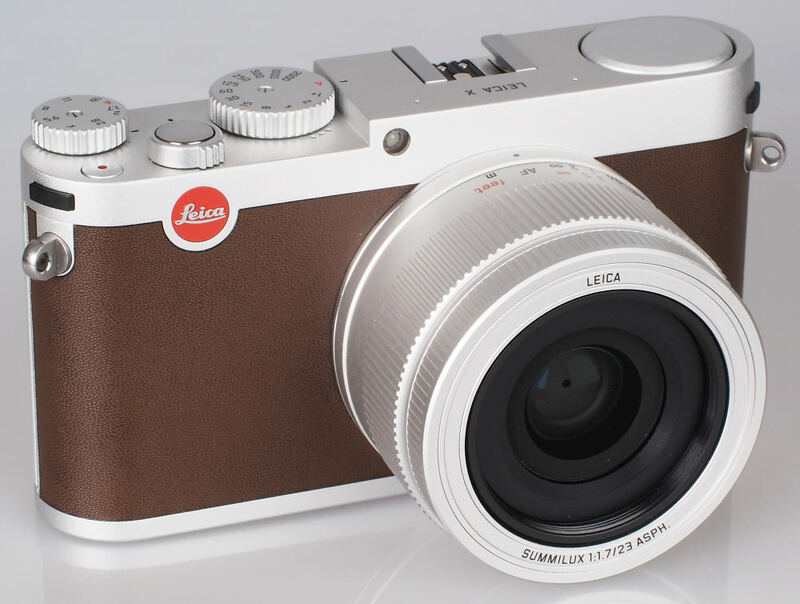 Announced at Photokina 2014, the Leica X (Typ 113) is an update to the Leica X2, which will remain on the market (as the X-E), the new X features a bright 23mm f/1.7 lens, equivalent to 35mm in film format, instead of the 24mm f/2.8 lens on the X2 / X-E. The Leica X Typ 113 now features a fullHD video mode, as well as a pop-up flash, accessory port / flash hot-shoe, manual controls and raw shooting. A 16 megapixel APS-C CMOS sensor sits in the centre of the camera, and AdobeDNG format is used for RAW images. Leica X customers can download the professional workflow solution Adobe® Photoshop® Lightroom® free of charge. Magnesium is used for the front and rear body shells, and the top and base plates are anodised aluminum. The top plate is machined from a single block of metal. Full HD video recording is included with stereo sound, at 30fps in MP4 format, as well as a dedicated video record button, and built-in wind filter. The camera features 5fps continuous shooting, a focus assist lamp, flash hot-shoe, as well as a built-in pop-up flash. 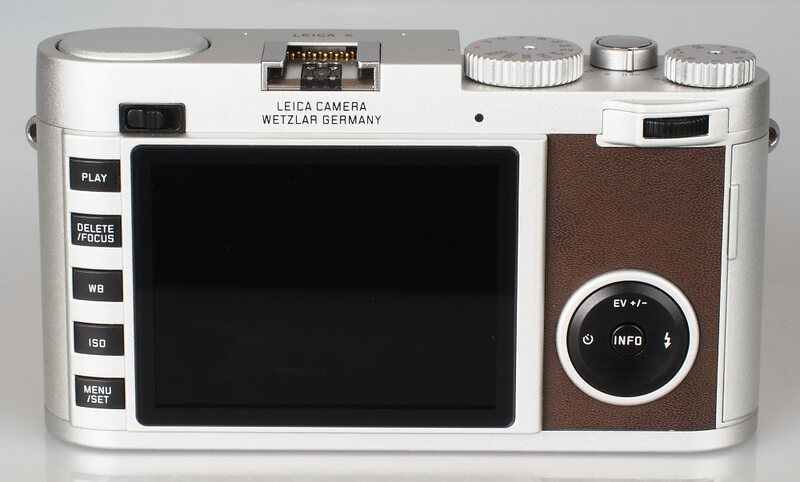 The Leica X Typ 113 has improved handling with a good thumb grip on the rear, and thanks to a larger screen, the design of the back of the camera looks much more streamlined and stylish compared to the previous model. The screen looks very good with a gapless construction, and the resolution is good as well. 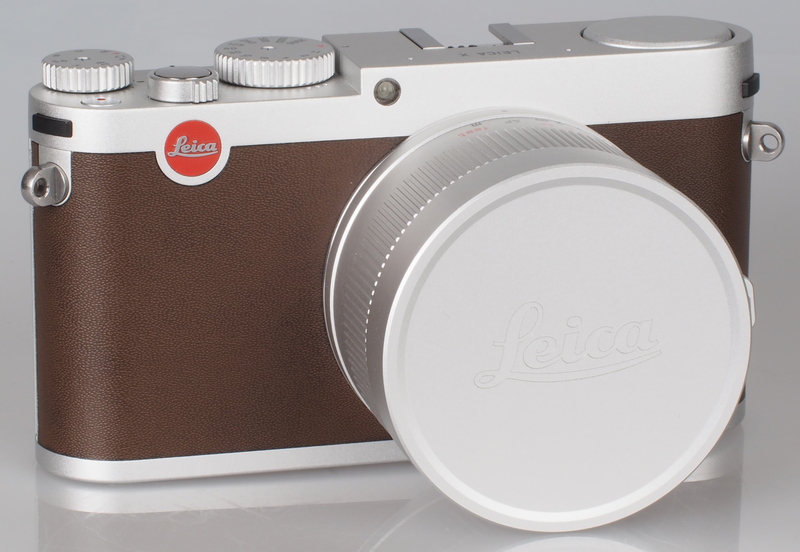 On top of the camera are the shutter and aperture dials, which can be set to A for automatic if desired. The on/off switch also acts as the continuous shooting mode switch, with C standing for continuous shooting, and S for single shooting. The leather covering is quite smooth which means it isn't very grippy, but looks and feels good. The lens has a good sized manual focus ring around it, and to enter manual focus, you turn the ring away from AF. This will then automatically enlarge the centre of the screen to enable more precise manual focus. The front of the lens can unscrew, and there is also a filter thread. 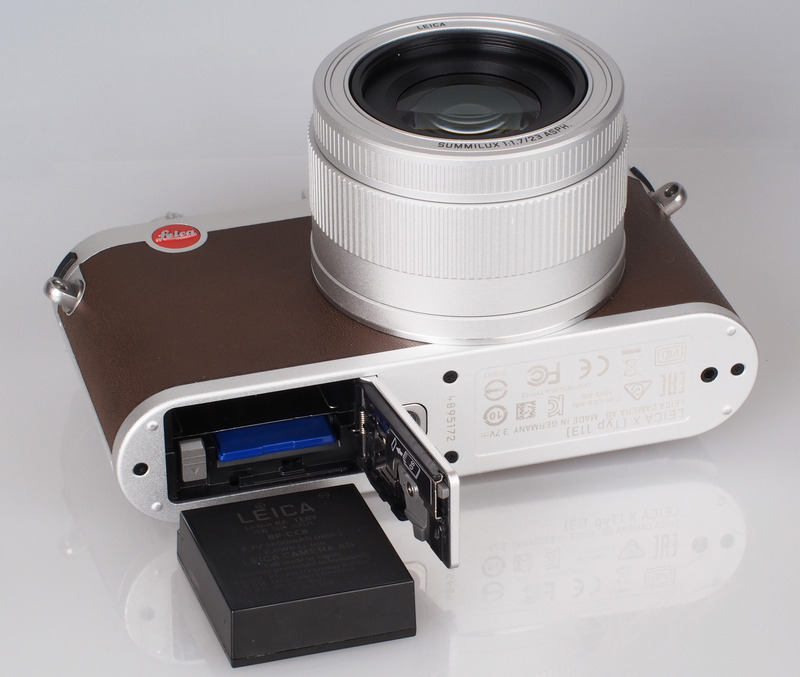 The electronic connection in the flash hot-shoe has been updated, and this is now the same as the hot-shoe connection on the Leica T (Typ 701). The EVF is available for around £400, and due to the new connection type, old electronic viewfinders will not work. Menus – The menus are easy to navigate, as all the settings are listed on one big list that you can scroll down. There isn't any built-in help, but most things are quite straightforward, and if not then there's always the manual. There is a menu option for image stabilisation, although this is just a digital version that combines two images, and there are image stabilisation options for video as well. We found we didn't need to access the menus too much, thanks to the large number of external buttons and controls. Battery life - Battery life is rated at 350 shots according to Leica / CIPA test results, which is good, although more would obviously be better, and a spare battery is recommended if you are likely to be travelling for a while without access to a charger. The camera has a very quiet shutter, and there is no "RAW only" option. Shutter response is very quick, although focus can be quite slow. Because of this we've set the camera to manual focus for the rest of the speed tests. Sample Photos - Portrait photos with flash show no red-eye, although indoors in low-light, focus occasionally struggled. Exposure is reliable, although it's worth keeping an eye on bright parts of the image with some blown highlights, such as the snow in these photos. It's possible to recover some of this by processing the raw files. Colour and saturation are both good. Lens Performance - Detail is good, with good results into the corners of the frame, although images could benefit from slight sharpening. Distortion is well controlled, with the camera automatically correcting JPEG images for various lens distortions. As expected, the lens is quite resistant to flare. The aperture available differs depending on the distance the subject is from the lens, for example, if you select f/1.7 on the manual aperture dial on top of the camera, but focus on a subject less than 1.2m away from the camera, the camera will stop the lens down, in increasing amounts the closer the subject is to the lens. Finally at 20cm, the closest focusing distance the lens is stopped down to f/2.8. ISO Noise Performance - The Leica X gives excellent noise performance, with excellent levels of details maintained, even as the ISO setting is increased up to ISO6400. It's only at ISO12500 that you see detail dropping off further as noise increases, however these images should still be useable with some further image processing and colour reproduction remains excellent. The X gives slightly better results than the Leica T, although with a limited ISO range compared to competitors, and higher noise than other cameras with 16 megapixel APS-C sensors. White Balance Performance - Auto White Balance (AWB) performs reasonably well under tungsten light, although there is a slight colour cast whether using AWB or the tungsten preset. AWB performs very well under fluorescent lights, and does not feature a fluorescent preset. For better results you need to use manual white balance or adjust the raw files after shooting. White balance performance indoors was often not as reliable. Digital Filters - Film modes include Standard, Vivid, Natural, Black and White Natural, and Black and White High Contrast. There are also settings for sharpness, saturation and contrast. 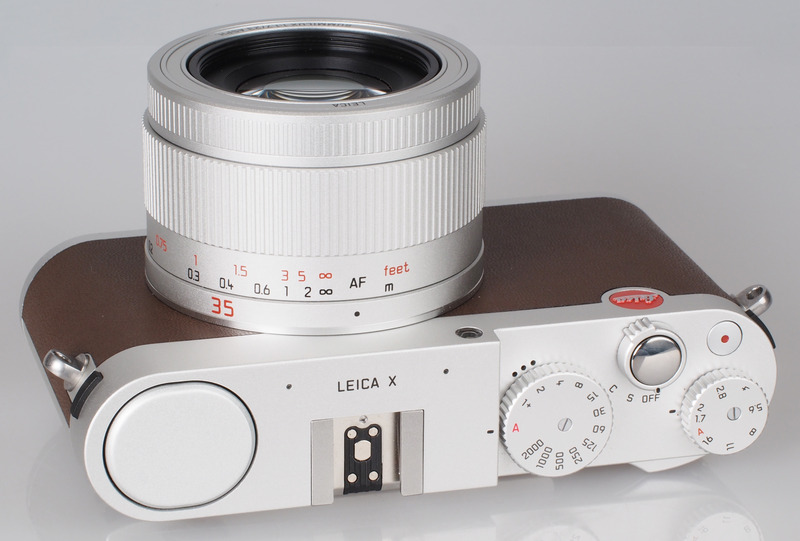 It would have been nice to see some of the additional optoins available on the Leica M 240. Video - The camera records at 1080p or 720p at 30fps. An integrated wind-cut filter helps reduce wind noise. The image stabilisation included is electronic so struggles at times to keep hand-held video steady. Quality is good, although the lack of true image stabilisstion will dissappoint some. The Leica D-Lux (Typ 109) is available for around £800 and features a Micro Four Thirds sensor, with a 24-75mm equivalent f/1.7-2.8 lens. There is also the Leica X-E (Typ 102) with a slower f/2.8 lens, available for around £1099, replacing the Leica X2. The Leica X Typ 113 offers one of the brightest lenses available in a compact camera with an APS-C CMOS sensor, with an f/1.7 lens. However, it's frustrating how the camera overides your manual aperture settings. Other camera such as the X100T, with f/2.0 lens, lets you use the lens wide-open when shooting close up and image quality suffers, but the camera still lets you be in control of the process. For most people this won't matter, but for the serious photographer who lives to be in control of their camera, this will likely disappoint. The Leica X is very well built, with a unique (brown) design that you will either love or hate... Direct access to controls gives the camera the feel of a real camera, and image quality is very good with a film like quality to noise when it appears. 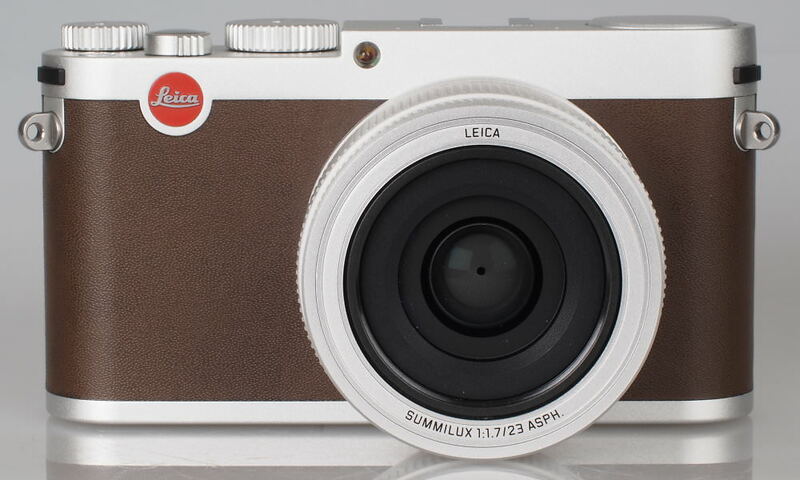 For the Leica fan this camera will be appealling, however, with the much more modern feeling (and feature packed) Leica D-Lux (Typ 109) available for roughly half the price, it's difficult to whole-heartedly recommend the Leica X Typ 113. Box Contents Battery (Leica BP-DC8), battery charger (Leica BC-DC8), battery case, leather carrying strap, USB cable, lens cap, user manual. You can get a better performing camera than this one for half the price. It's a good looking camera, and as I am not a fan of 28mm or 50mm primes its either this or the Fuji. Although I think the Fuji is the better camera, I would have this one. 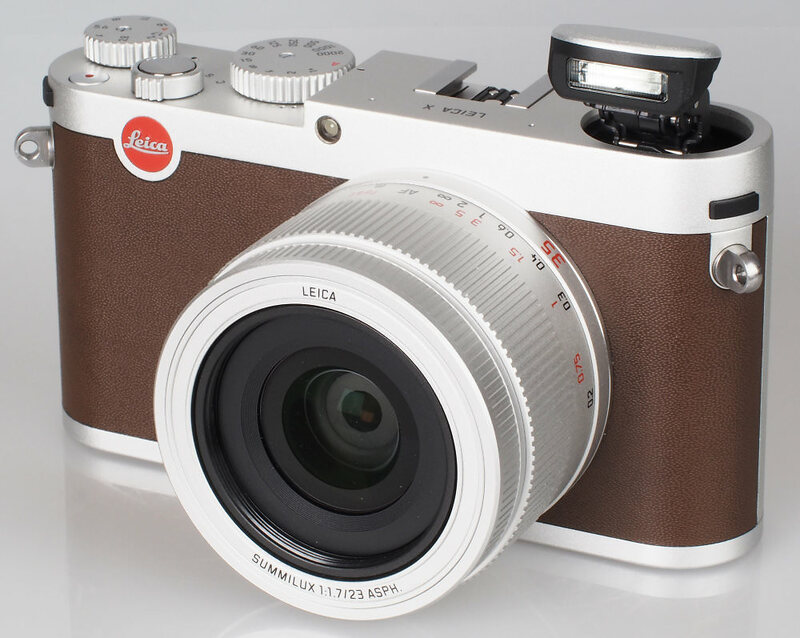 It is very similar to the Panasonic LX100 (which also has a Leica f1.7 lens), almost a clone. Only the Panasonic has more facilities & features as standard and it is half the price.